Chyler Sewell is proud of her Indigenous heritage and she loves to write and give back to her community. The 16-year-old Grade 11 student at Westmount high school will be among the youths honoured at the Ontario Community Newspaper Association Junior Citizen Awards in Toronto on March 18. 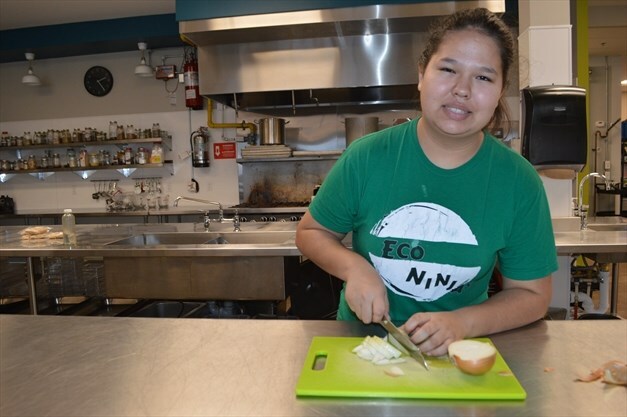 “I do appreciate the recognition,” said Sewell during a recent chat at the Hamilton Community Food Centre on the west Mountain where her mother Danielle Boissoneau works as the community action co-ordinator.